This article was originally published on Paddlechica.com. As adults, we often find it difficult to ask for help or clarification when we don’t understand something. We are reluctant to appear weak or ignorant, and we are frequently intimidated by the very people we should be requesting assistance from. There is something frightening about asking for help from those who are better than us. We tend to put people up on a pedestal and perceive them as more important than ourselves, making it nearly impossible to request any assistance. All too often I have seen paddlers who need help in various aspects of their paddling: technique, fitness, nutrition, or countless other ways. Perhaps they don’t understand something the coach is talking about or just need clarification on a concept, yet they are too intimidated to speak up. Fear can be a powerful obstacle and unfortunately, it often is a huge impediment to our learning process. Fear is the overriding reason, but the source of the fear itself varies quite a bit. Fear of looking stupid. Fear of seeming inexperienced. Fear of annoying or inconveniencing others on the boat (typically the coach). Fear of being the only one who doesn’t know something. Fear of delaying practice while the coach has to explain something to you. Fear of judgment. Fear of humiliation. Fear of possibly calling attention to a deficit in your own ability that no one may have noticed before. Fear of being exposed as an untalented paddler. The list goes on and on. So, how can you conquer, or at least manage these fears in order to get the help or clarification you may need? If you aren’t comfortable asking the coach, the first place to start is to ask yourself why? Is your coach truly unapproachable or are you just intimidated by him or her? If intimidation is the case, consider the reason. Is it due to the comparative difference in levels of experience between you and your coach? Or something else? It is likely that your coach is not the unapproachable commander you might perceive him or her to be, but it is understandable that you might feel shy or timid in this case. For most of us, it’s been quite a while since we sat in the classroom, but the dynamics of a coach-paddler relationship is much like a teacher-student relationship. It’s natural to feel a little nervous around him or her. But keep in mind that your coach is human, too. Your coach is in that position because he or she enjoys helping people and wants you to do well. In fact, if you really are struggling, the coach will probably be quite anxious to help you and will appreciate your insight and interest in improving your performance. Your humility about your own abilities will not lead to humiliation but instead will be the key to your success. The coach is acutely aware that if you do well, the whole team benefits. Helping paddlers improve is one of the things that he or she is there to do. If you honestly feel that you cannot speak to the coach, have you considered talking to the captain or manager of your team? Seek out someone in a leadership position and rest assured that they have dealt with a multitude of questions. A leadership position within a team is often a thankless job, so no one does it unless they are comfortable dealing with their teammates. If you still find the leadership on your team a bit daunting, perhaps you have a teammate who is friendly and knowledgeable? Don’t be shy about asking someone for help. As mentioned before, if you do well, the whole team benefits, so it’s fairly certain that someone on your team will be willing to help you out. If that is not the case, then perhaps it’s time to rethink what kind of a team you are on. The other side of the coin is how to offer help. We can all likely tell stories about the paddler behind us offering unsolicited advice and coaching. It can be extremely frustrating and even annoying to hear someone behind you telling you what to do despite the fact that he or she is not the coach. Yet all too often the fact that we are teammates with this person keeps us from telling them exactly where they can stick their advice. So, how do you help a teammate who may be struggling with something without being “that guy”? Last spring, I reached out to a teammate of mine and asked if she would like a little help on the erg (rowing machine) that we use as one element of our fitness testing. I was hesitant at first to ask her because I am certainly not an expert on the erg, but I saw that her ratio of effort to return was disproportionate; she was putting in far more effort on the erg and not showing much in terms of results, as displayed on the monitor. I could see a few things that she could improve. So, I gently offered to help her but also gave her an easy way to refuse if she wasn’t interested and I reassured her that I would not be offended in any way. She took me up on the offer and we spent an evening working together on the erg at my local gym. What struck me most was that she had been on the team for a while and was still a bit unclear as to how the erg worked or what the numbers on the monitor were telling her about her workout. Why? Perhaps partly because she was unaware that her movements were not as productive as they could be, but also because she was too afraid to ask anyone. So, although I was initially hesitant to offer my help to her, I am glad I did because she was unlikely to ask anyone otherwise. She felt like a “newbie” or “rookie” to the team and was intimidated by others who, she assumed, knew more than her. 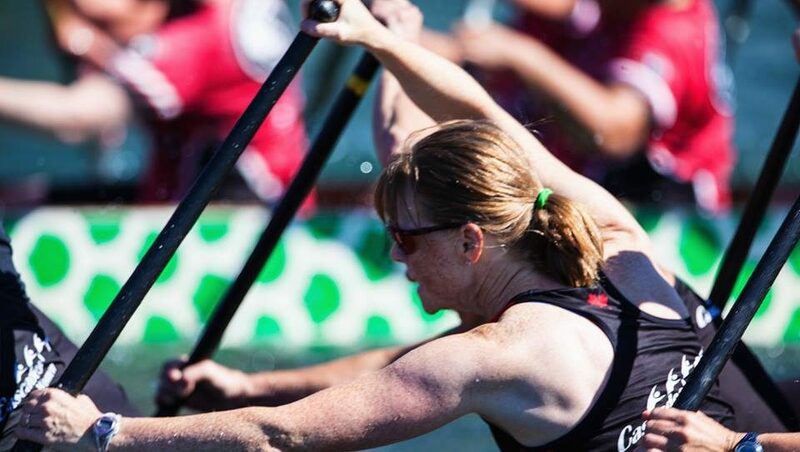 A short session on the erg gave her a better understanding of how it worked, what technical changes worked best, and how to engage the bigger muscles that are critical on the erg. I was able to answer some of her specific questions in a risk-free environment. And, hopefully, it gave her a better understanding of how important it is to be able to ask teammates for help when you need it. Make Sure Your Words Are Meant to Help, Not to Disparage or Criticize. Assuming you are offering help because you truly want your teammate to get better, your words should be encouraging and helpful, even inspiring. Proper phrasing is crucial. These five simple words did not imply that she was trying to coach me, or looked down on me, or even though I was a weaker paddler for not grasping this part of the technique. Her words simply helped me to feel that, as teammates, we were in this together. The non-threatening and collaborative nature of her question kept my mind open to what she had to say and it was clear that she wanted to help me to work on what I was struggling with so that our team, as a whole, could be better. Having a mentor program to pair newer members with veterans can help the rookies feel more welcome and less alone on the team. Just like in the workplace, a newbie is encouraged to turn to his or her mentor when questions arise. Partnering up teammates in this way helps the newer members assimilate more easily into the team culture, therefore feeling like an important part of the whole, which also helps with retention of members. Whether your team is highly competitive, very recreational, or somewhere in between, taking care of those who are new to the team is an important part of paddler retention. My earlier post Newbies: One of Your Most Important Assets discusses this in more detail. If your team doesn’t already have a mentor program in place, as an individual paddler you can certainly help the rookies on your team. Reach out to newer members in order to make them feel more welcome and comfortable in asking for help or clarification when needed. What may be a “given” to veterans on the team is often a foreign language to a rookie. Teammates might be used to certain words used by a coach or specific notation used in a coach’s training regimen, but newer members are certainly not familiar with this. Giving a newbie the ability to focus on the important aspects of training rather than the anxiety of not understanding something is a benefit to the team as a whole. Even if you feel that you do not have the experience level or the extra time to devote to helping a teammate personally, suggestions of any online or other resources that you are familiar with can be enormously helpful. As a veteran offering to clarify any lack of understanding, you are ensuring the smooth integration of all members of the team. Who wants to be on a team where there is a great divide between the newbies and the veterans? What kind of team dynamic would that be? Certainly not a very cohesive team. If the goal of the team as a whole is to be one strong, competitive unit, it is in the team’s best interest to ensure that everyone is on the same page in terms of understanding. So, keep in mind that asking for help or clarification as well as offering it are both very important components of every team. It should be each paddler’s goal to increase both individual and collective ability and performance, but having a clear idea of how to do so is essential to the success of the team. 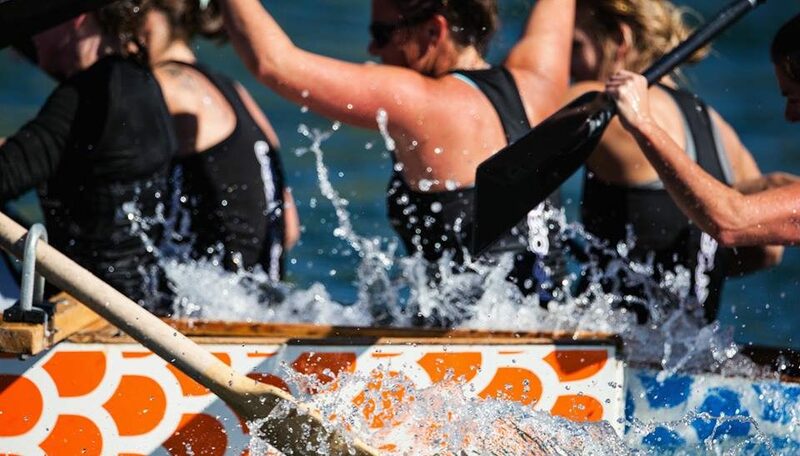 Customizing Dragon Boat Team Paddles - What's it like to work with Hornet's design team? You can now pre-order your 2018 IBCPC Participatory Dragon Boat Festival Florence Italy commemorative paddle online. 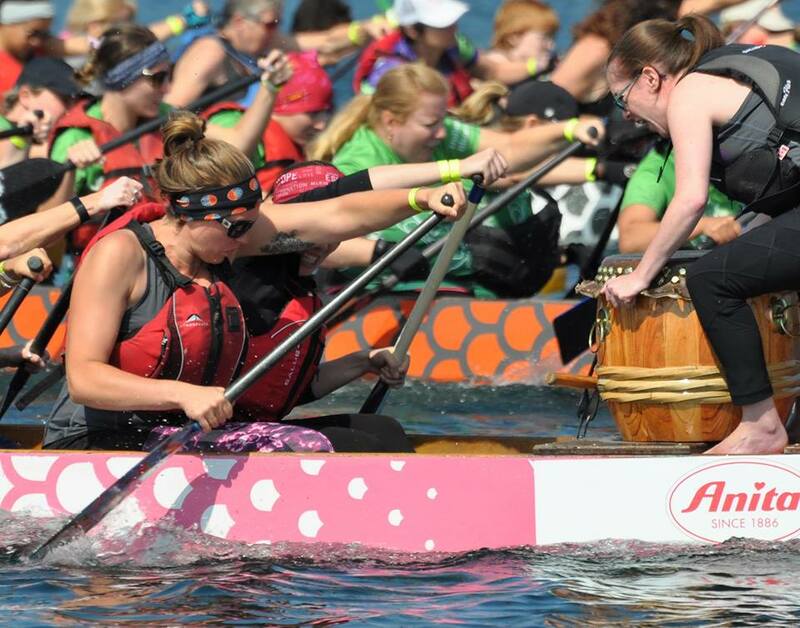 PADDLECHICA: How Do We Define Success in Dragon Boating? 2018 March Madness Winner is... G9 Kaizen! The IBCPC-Hornet Product Line has 4 exciting new additions! Hornet Europe © Copyright 2019.